​Kirk Ingram is Chairman of the Board. In August of 2015, Kirk sustained a C4 injury following a shallow dive in Lake Minnetonka. 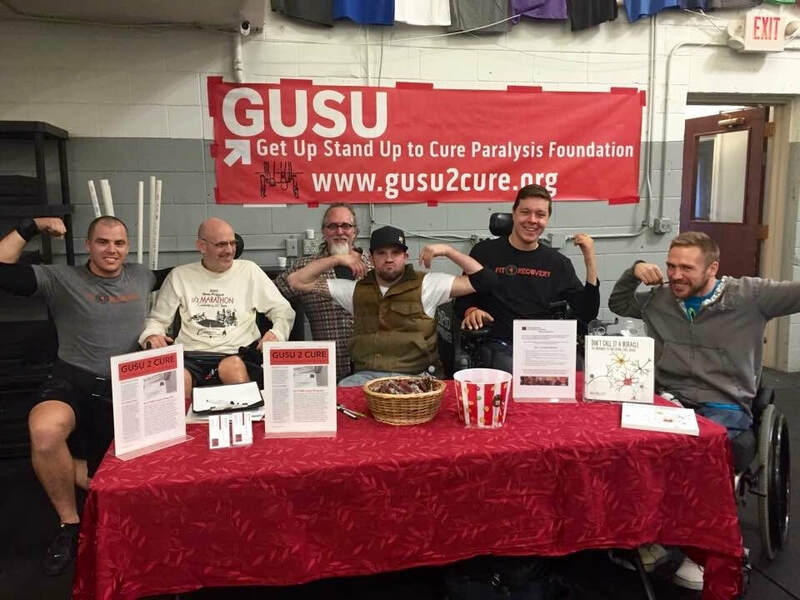 He credits GUSU with providing insight to living with a SCI and the knowledge to advocate for a cure. Kirk has been an athlete his whole life, he was a member of the Concordia University St. Paul baseball team, the St. Louis Park Town Ball Team, and was a hockey referee. As such, he strives to maintain an active lifestyle and often can be found FES cycling or working out with a trainer. Kirk majored in mathematics with a minor in business at Concordia-St. Paul. He completed the Technology Leadership Program at Target Corporation and is currently a Senior Project Manager within technology services. Joe Dailey has been a board member nearly since inception. Joe brings 14 years of experience in living with a SCI and has seen many positive changes in the search for a cure for paralysis due to SCI. Joe was elected Executive Director of the board in January of 2017 and is a driving force for defining our mission and priorities which include: fund research, unite & educate, and promote fitness. Joe attended South Dakota State University. He has over 32 years of experience with M.A. Mortenson Company where he currently works as a Community Stewardship Coordinator. Joe enjoys exercising, participating in the ABLE program at Courage Kenny Rehab Institute, handcycling, skydiving, reading, spending time with his grandchildren, and is attempting to write a book. Rob Wudlick is Treasurer and Co-Founder of GUSU. 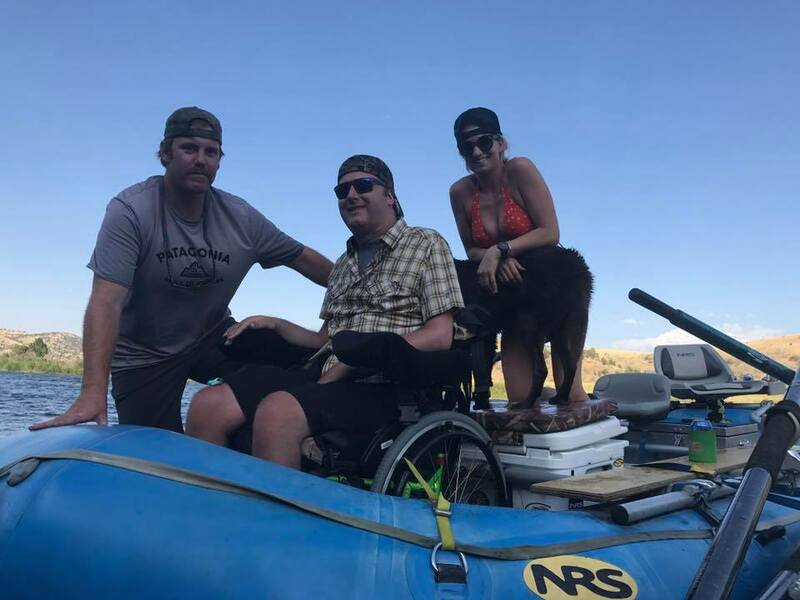 In April of 2011, Rob suffered a C4-5 spinal cord injury from a diving accident on a rafting trip down the Grand Canyon. Since that time, Rob has worked tirelessly to advance medical research and to advocate for the spinal cord injury community. Rob serves on the Minnesota State Council the for Spinal Cord & Traumatic Brain Injury Research Grant Program, and is an Advocacy Advisor for many national spinal cord injury research organizations. Rob attended Montana State University, Bozeman, and has a degree in Industrial & Management Engineering. He has a wide range of interests, including bodies of water and mountains, and has worked in the fields of engineering design, operations, and development, entrepreneurial endeavors, and has over 10 years of professional boating experience on recreational whitewater and charter operations. Melissa Ingram joined the board of directors in 2017. She entered the SCI community after her husband, Kirk, was paralyzed following a dive into shallow water. Since then, Melissa has leveraged her 10 years of experience in medical research and immersed herself into the chronic SCI research field. ​​​Samantha Drost joined the board in 2017. Sam has been a member of the SCI community for over 10 years following a body surfing accident. 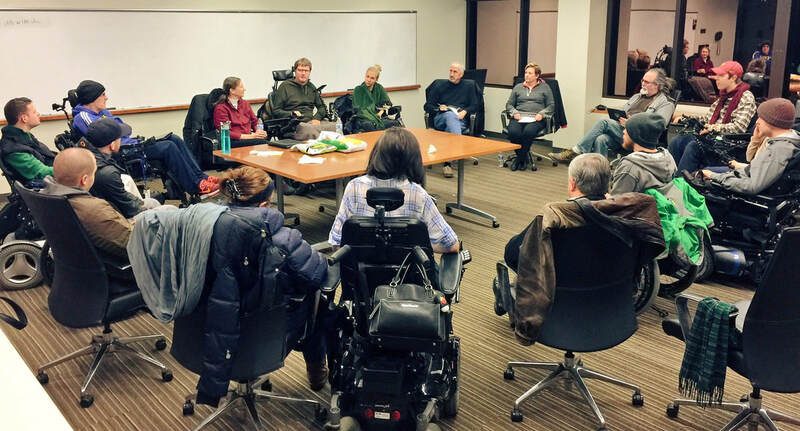 Sam has a wealth of knowledge navigating life post-injury including using adaptive technology and advocating for PCA services. 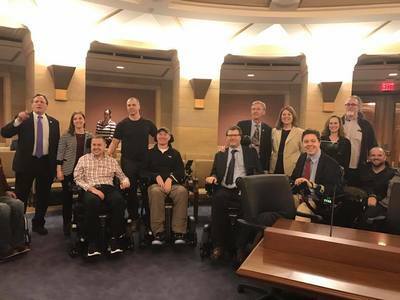 Sam is also a member of the State Quality Council, in collaboration with the Minnesota Department of Human Services to support a system of quality assurance and improvement of services for people with disabilities. Sam attended Augsburg College and has a degree in mathematics and economics. 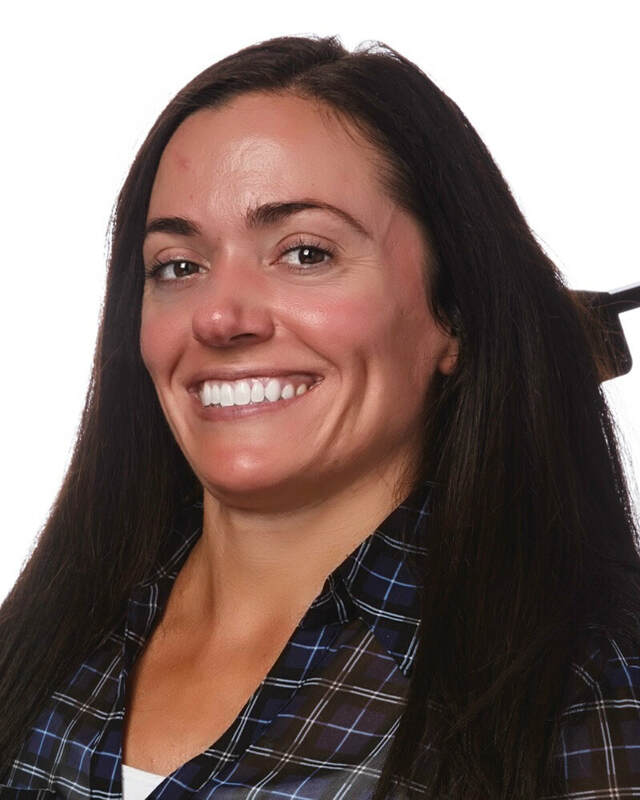 She is currently a Senior Analyst Business Insights and Analytics at Target Corporation. Sam enjoys adaptive yoga, playing with her nephews and taking her dogs for walks. Barbara became a member of the SCI community when her daughter sustained a C5-6 SCI injury due to a diving accident. She follows research to maintain health and cure spinal cord injuries. As co-founder of Women Staying Strong, she recognizes the importance of support, sharing resources and advocating for the SCI community. 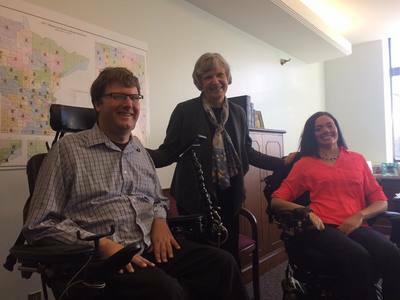 Barbara joined GUSU’s advocacy efforts at the legislature, eventually joining the Board in 2017. Barbara has a background in anthropology/archaeology and long-term health care and is an attorney. ​​Josh Nix joined the board in 2017. Josh has been entrenched in fitness word for the past 15 years and has been a personal trainer for three years working with individuals with neurological disorders and spinal cord injury. His passion lies in adaptive fitness. 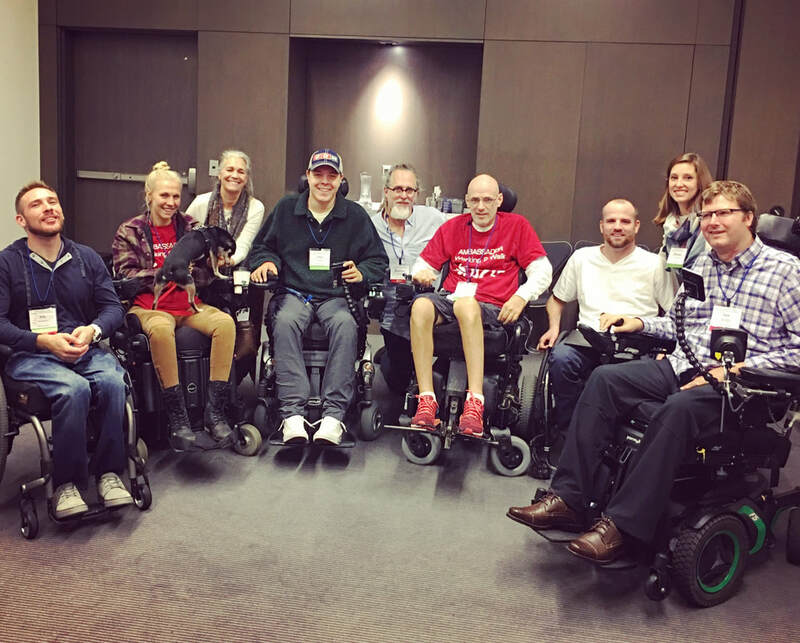 Josh looks forward to expanding fitness-based training for adaptive athletes, increasing access and to educate the SCI community on adaptive fitness and recovery. Josh completed his degree at Concordia University, St. Paul with a BA in Exercise Science with an emphasis in Athletic Training & Injury Prevention. He also has several fitness and SCI recovery certifications. ​Andy Rapacz joined the GUSU Board in 2018. Andy has worked in the neurological rehabilitation world since 2009 at Courage Kenny Rehabilitation Institute (CKRI) part of Allina Health. A founding member of CKRI’s NeuroRecovery Network Activity Based Locomotor Exercise (ABLE) program, since its inception in 2010, he has helped foster continued program growth and expansion of adaptive fitness opportunities for individuals with Spinal Cord Injury and other neurological diagnosis. Additionally, he works as a contract installer of FES products for Restorative Therapies, Inc. providing installation, education, and training for FES home users throughout the Upper Midwest. Andy holds a B.S. in Kinesiology from the University of Minnesota and a Masters of Organizational Leadership Certificate from St. Catherine University. He is an American College of Sports Medicine Certified Exercise Physiologist and the Lead Activity Based Exercise Specialist at CKRI’s ABLE program. He enjoys spending time with his wife and two daughters enjoying the outdoors, MN sports, and live music. Jake Anderson joined the GUSU board in 2016. Jake is a quadriplegic who suffered a SCI in September 2014 due to a diving accident in Madison, WI. His role with GUSU has included recruitment, marketing strategy, social media, and advocacy at the MN state capital. "Jandy" – as his friends know him – and Team JandyStrong continue to raise money for GUSU at the Chicago Half Marathon, which marks the anniversary of his injury. Jake has spent his past two summers in Denver, CO as an intern at Arrow Electronics, and is completing his senior year studying Mechanical Engineering at UW-Madison. He is focused on adaptive fitness and wants to see individually-optimized epidural stimulation paired with physical therapy by 2019. Jake is currently expanding his advocacy efforts to the Wisconsin legislature. 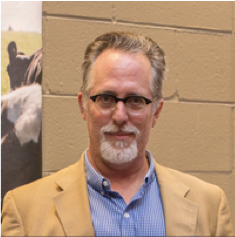 Thomas Cloyd is a co-founder and is a member of the SCI community. He is dedicated to improving healthcare and quality of life for all by harnessing technology and best business practices. Thomas has experience customizing, implementing, and educating providers on clinical medical software that directly enhances the quality of patient care, and leverages this knowledge to advocate for the SCI community. Thomas received a BS in journalism, creative advertising and computer design from the University of Colorado Boulder. He is currently a full-time MBA candidate at the University of Minnesota, Carlson School of Management. Thomas enjoys playing wheelchair rugby and traveling as much as possible. ​Matthew Rodreick entered the SCI community after his son Gabe sustained a C5 injury while body surfing in Costa Rica. 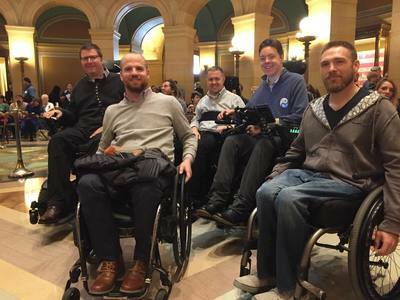 After leaving his position as Emergency Department Operations Supervisor for the Fairview Health System, he and Gabe traveled the world in search of the best therapeutic options, only to end up back in Minnesota advocating for cure research.